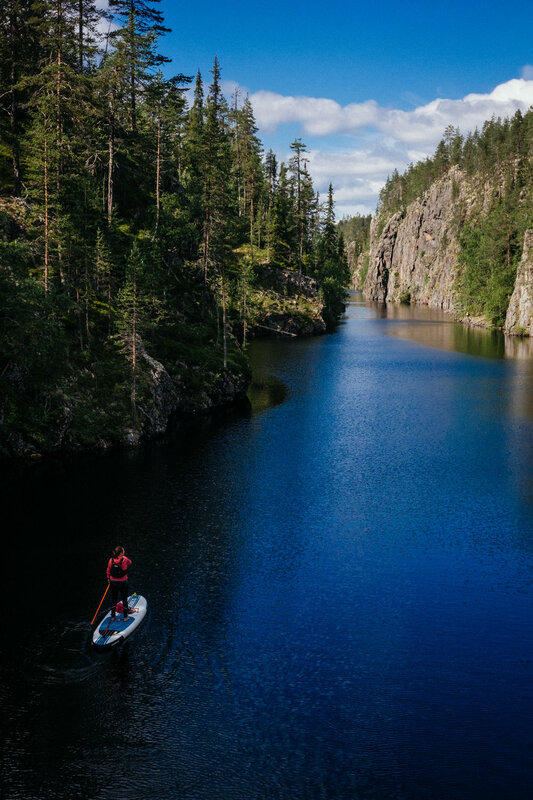 Hossa National Park is Finlands 40th national park that was opened 17th of June in 2017 to celebrate Finlands 100th year of independency. 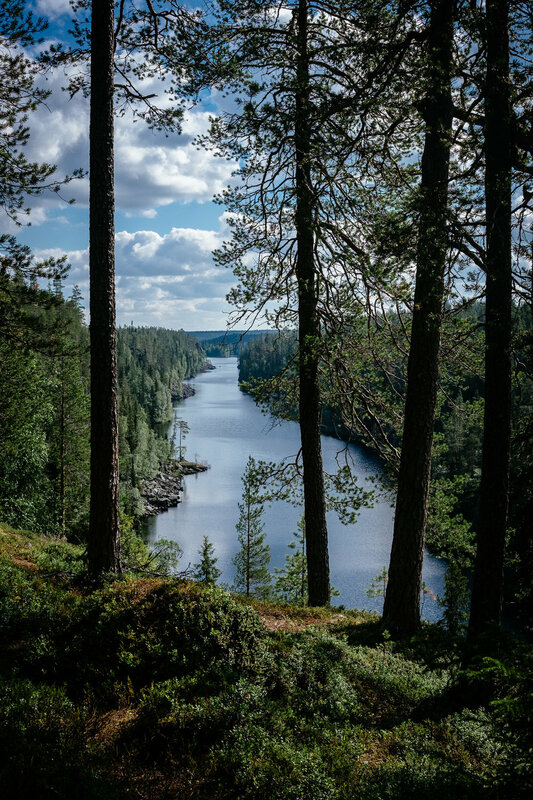 Hossa National park is located in Kainuu region in North Eastish part of Finland, near Russian border. 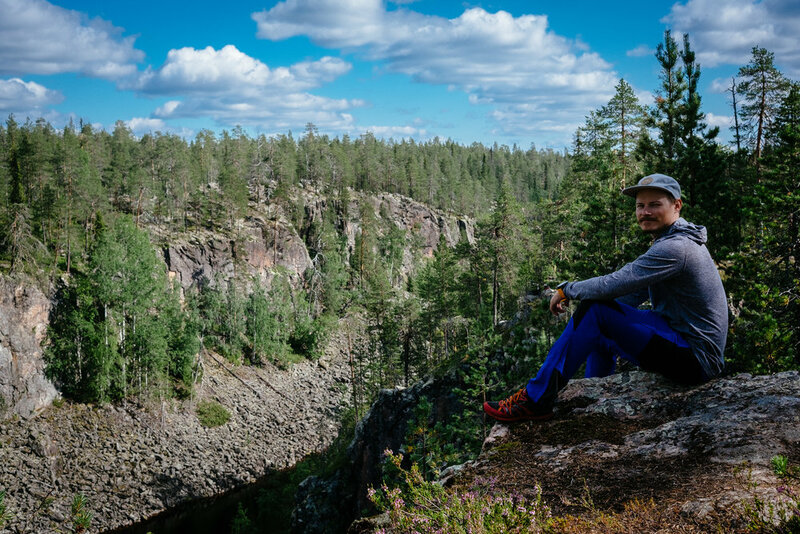 The Hossa National Park is home for rock paintings dating 3500-4000 years back. You can find lots of hiking routes (90km of marked trails) and lakes for canoeing (60km of water routes). You can check directions to Hossa and Julma Ölkky from Official guide for Finnish National Parks. 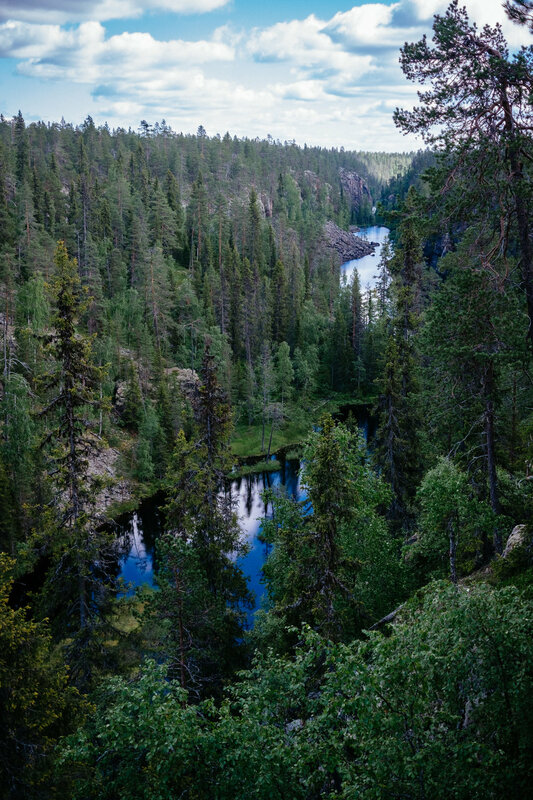 The best-known hiking route in Hossa is the route around Julma-Ölkky Canyon Lake, called Ölökyn ähkäsy. This ring route goes around the Canyon and it takes about 3-4 hours. The routes is officially marked as “demanding” but on international level this would be “medium”. Route has couple steep inclines and some spots are quite wet. In the middle of the canyon lake there is a suspension bridge over the canyon, so if you don’t want to make whole ring route, you can skip the other half here. If you are more interested to enjoy the canyon from the lake view, you can take a arranged boat trip from near the parking lot. You can buy the tickets from kiosk next to the parking lot. Other nice places to visit!